The signing and launching ceremony of the program was held in Beijing and Hong Kong simultaneously with live broadcast. Vice Chairman of the Chinese People’s Political Consultative Conference (CPPCC), Mr. Leung Chun-ying, Deputy Director of the Liaison Office of the Central People's Government in the Hong Kong Special Administrative Region, Mr. Yang Jianping, Chairman of China Resources Group, Dr. Fu Yuning, HKCT Principal, Mr. Chan Cheuk-hay, China Resources Group General Manager, Mr. Wang Xiangming, and Vice General Manager, Mr. Chen Lang and other leaders showed up at both sites to bear witness of the ceremony. 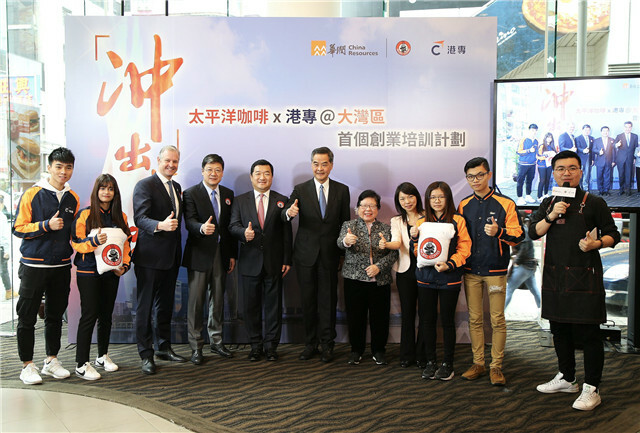 CPPCC Vice Chairman Leung Chun-ying said at the event that the entrepreneurship training program encourages Hong Kong youths to start businesses in the Greater Bay Area. On the other hand, it shows that the area does not only target professionals, but also offers enormous opportunities for service industries like coffee shops, He said. Leung thanked China Resources Group for its efforts in corporate social responsibility and encouraged Hong Kong youths to seize the opportunity, make good use of the area as "a new platform, a big platform, a good platform" and strive for better development for themselves, their families and the entire Hong Kong society. In his speech at LUXE, the first roastery flagship store of Pacific Coffee, Chairman Fu Yuning said that China Resources Group hopes to boost the integration among young people in Guangdong and Hong Kong so that they can feel the pulse of the country's vigorous development and achieve social values while realizing economic value. In a market-oriented way, this integrating program can be carried out continuously and steadily. HKCT Principal Mr. Chan Cheuk-hay said that HKCT, as the cradle of Hong Kong's social science professionals, has chosen to work with China Resources Group to address the pain spots in Hong Kong society. 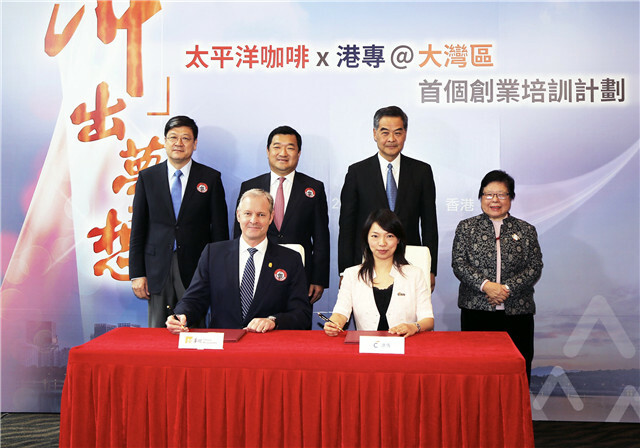 He hopes this pioneering cooperation can bring about a concrete demonstration project and help Hong Kong’s young people blend into the Greater Bay Area and start businesses of their own. The “Beyond Dreams” entrepreneurship training program will provide all kinds of support for Hong Kong youths, including training and internship opportunities and living allowances. It will also provide venture capital funds for promising young people in support of their entrepreneurship and life in the Greater Bay Area. 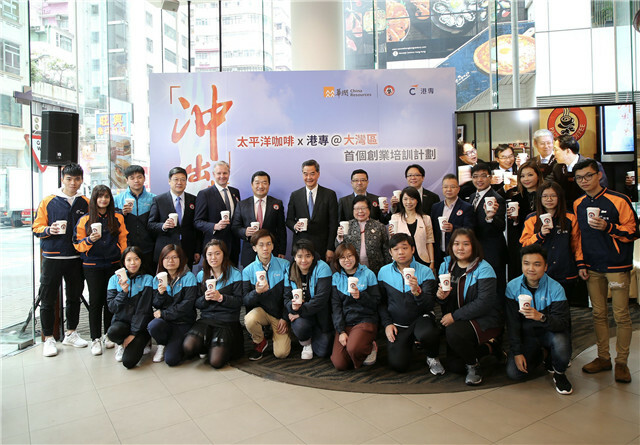 As a highly influential coffee chain brand in both Hong Kong and the Mainland, Pacific Coffee will offer a wide variety of internship opportunities for Hong Kong’s young people to help them gain work experience in the area and provide resources to support young entrepreneurs. The HKCT will play into its specialty in professional training and maintain a steady delivery of outstanding talents for the area.